Katey Martin is a professional web developer at Essay Writing at Essay Help Deal UK in her leisure time, she shares her knowledge and expertise in the different programming language to potential web developers. You can interact with him on Twitter, Facebook and Google Plus. If designing websites and web applications are your future, then you’ll need to make PHP frameworks a part of your life. The can be used to write fresh and reusable code. Usually, building a website from scratch is too stressful as it takes too much time. The PHP frameworks simplify this task. 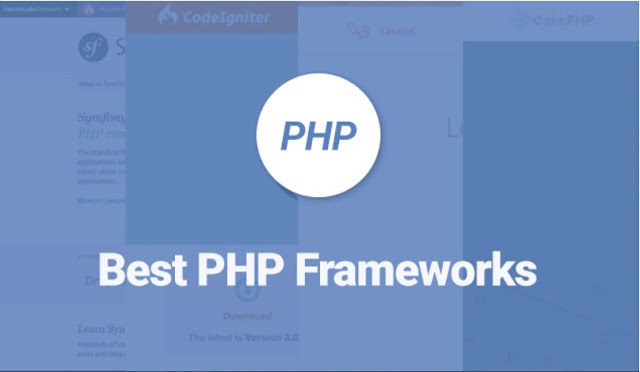 Today, there are tons of PHP frameworks you can use for creating a website. Some of them are used for better performance, documentation, and many more things. As a matter of fact, 80 percent of all of the world’s websites use PHP framework. Thanks to these frameworks, building a website is no longer a laborious task. These frameworks offer libraries, ready-to-use components as well as view and controller logic. They make the development less tedious and exhaustive for the developers. Let us now look at some of the best PHP frameworks that can make your web development less painful and more productive. When it comes to performance, Laravel tops the list. Founded in 2011, it became one of the most popular PHP frameworks for web developers worldwide. With its simple syntax, ease of routing, authentication and caching, it’s no wonder why it is regarded as the best framework for coding a website. In case you’re a startup, there are hundreds of tutorial videos available on Laravel to help you get started. It even has its own templating engine by the name of Blade. It allows you to create your own PHP codes in the templates. This means that performance of your website will not slump. If you have a full-scale project in the pipeline, then Symfony can turn out to be a real help. Symfony is a set of reusable PHP components. When it comes to making web applications, it boasts a huge community as well as a hassle-free environment. It is because of Symfony that some of the best applications have become a reality, such as eZ Publish, phpBB, and Drupal. It allows routing, configuration, templating and much more. CodeIgniter ensures you that you never have to take up complex programming courses for web development. It comes with a concise toolkit that enables developers to get a quick start in their app development career. In CodeIgniter, you have the freedom to use your own coding and naming conventions. It has a lean MVC framework with just enough things to improve your productivity and it also provides third-party add-ons. You can avoid PHP version conflict and it works fluidly with all hosting platforms. Yii has all the right tools to help you make the best Web 2.0 applications. It only loads those features that meet your requirements. It comes with DAO/ActiveRecord, MVC, caching, authenticating, scaffolding and testing among other features. With so many ready-to-use features, web development becomes even more efficient and faster. Moreover, Yii helps you create clean and reusable code. It consists of standard security protocols like output filtering, SQL injection, and input validation. When Phalcon was released in 2012, it quickly rose to prominence. For PHP developer, it offers a treasure of features. One of its distinguished features is that you don’t need to learn C language in order to use this framework. There are also other exclusive features of this PHP framework that include documentation, tests, screentests, and translations. It is fast in execution and it significantly reduces resource usage. It utilizes an MVC framework and includes features query language, caching and more. This is another entry that won’t restrict your ability for creating web apps. In fact, CakePHP uses a powerful scaffolding system and a smooth database access layer that allow you to make quick complex systems. You don’t even have to juggle YAML and XML files. What you need is a database and you’re ready to go. You’ll be happy to know that CakePHP is MIT licensed, which makes it perfect for the development of commercial apps. There are also ready-to-use MVC conventions, so you won’t have any problem in development. In other words, you’ll have everything you need, such as validation, caching and translations. Zend Framework takes pride in providing its users with matchless reusability, performance, and simplicity. It includes a strong secure environment that puts no rick to your website. It does this by having a strong password system with bcrypt, encrypt with AES-256 and more. Zend Framework is a collection of the finest PHP packages and it has been installed over 63 million of time. It includes a complete object-oriented code and it helps you create codes using PHP 5.6+. This PHP framework is super light and yet powerful. Slim helps you get more with fewer resources. It does a great job in helping you create powerful web apps and APIs. It has a robust router that maps route callbacks to certain HTTP request methods and URIs. The above-mentioned are 8 of the best PHP frameworks you can use in 2016. If you know anymore, let us know the comments section below. What a wonderful list of framework am looking forward to know how use this to design website in your next post. I have always loved codings, and hope I get to understand and use this PHP framework. CodeIgnator is the best framework that is best one framework. This is lightweight but have all functions. I am using it for my website of dissertation writing services.